Learn how the world’s #1 CRM just got even better. A Whole New Salesforce. A Whole New Way to Sell. 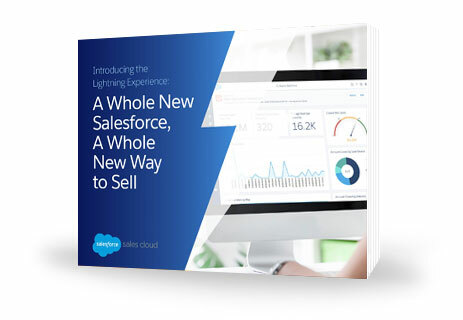 Download our e-book to learn exactly how the Lightning Experience will help you sell faster, sell smarter, and sell the way you want. You’ll find information on new features, highlights and workflows that will help you get the most out of every selling moment.